This article originally appeared in Issue Zero of Project Upland Magazine. “What do you love about bird hunting? For me, it’s everything from the clanging of dog bells and the smell of woodsmoke outside my cabin at night to the bittersweet emotions I feel when I kill a bird as beautiful as a woodcock. Of course, I also love the guns, especially vintage side by-sides. I’ve been obsessed with old side-by-sides for decades now. I’ve owned ones by all the major American makers, and I’ve owned others from the United Kingdom and other European makers. I actually haven’t owned a gun—like a Holland & Holland Royal or a Dickson Round Action, but I’ve held many examples in my hands. Even with all this experience, I learn new things about old shotguns all the time. 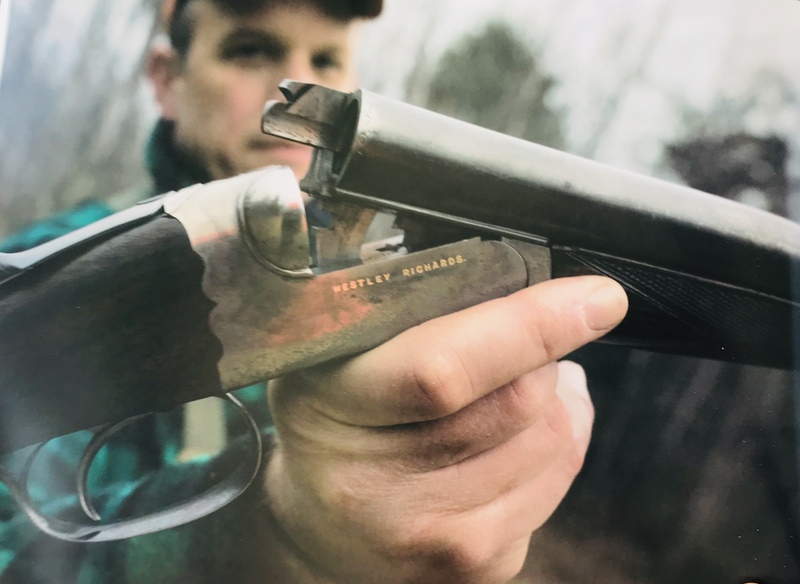 Read all of Avoiding Double Trouble – A Beginner’s Guide to Vintage Shotguns at the Project Upland site. Why do we love what we love? Why are we drawn to certain things, even if those things make little sense in our lives? Good questions, and ones I ask myself often. Last fall, Project Upland’s A.J. DeRosa asked me to put pen to paper and write about my passion for fine shotguns. My piece is published below. It one of the essays featured in PROJECT UPLAND – THE BIRD HUNTING ANTHOLOGY – VOLUME NO. 1. LOVE CAN BE HARD TO UNDERSTAND, ESPECIALLY WHEN IT’S for anything other than babies, puppies, and ice cream. Of all the things I love about upland hunting—my pointers flashing through the woods, the whirl of a flushing woodcock, the cidery smell of old apple trees—my lifelong affair with shotguns is the most difficult for me to comprehend. I’m not from a family of hunters or shooters. My grandfather never killed a bird in his life. While my dad was a fisherman, he never owned a gun or fired a rifle. And I didn’t grow up on a farm with cornfields or stands of aspen outside my door. I grew up in Connecticut, down the street from a 7-Eleven and a strip mall anchored by a bar called the Amber Light Lounge & Cafe. But despite all this, bird hunting, and especially shotguns, have always been my thing. When I was a kid, I pestered my father to take me to gun shops. I didn’t care about the rifles, and I didn’t stare at glass cases lined with revolvers and pistols. I wanted to see the shotguns. Most of the ones I came across were autoloaders and pumps: Remington 1100s, Winchester Model 12s. Sometimes there would be an O/U, usually a Browning Superposed. Those always commanded my attention. When I was thirteen, my family moved to northern New Hampshire. Now there were woods behind our house and, I would discover, grouse. Our first bird season there my father borrowed two shotguns. The one for me was a 16-gauge Savage Fox Model B. I was fascinated with it. I had seen side-by-sides in a little newspaper I received called the Orvis News, but this was the first one I had held in my hands. With its two barrels aligned next to each other and double triggers, it looked awkward and outdated. 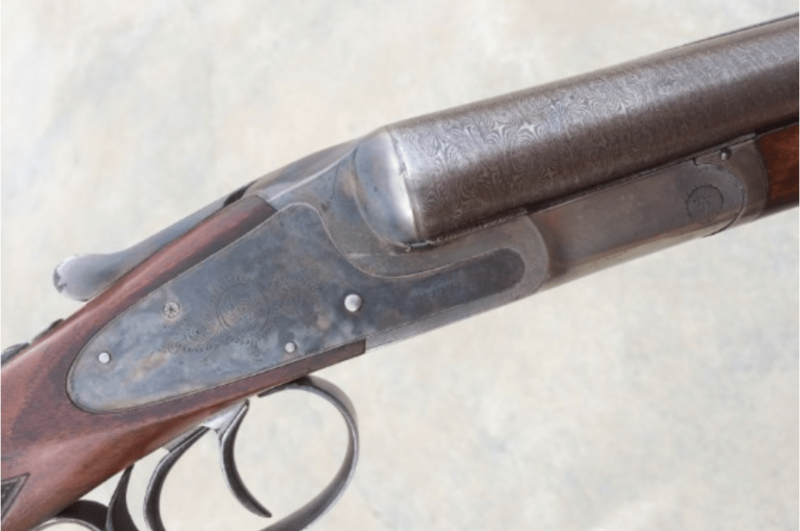 But it also seemed more refined and purpose-built than any other shotgun I had come across. It suggested something . . . different? better? I wasn’t sure, but I was reluctant to give it back at the end of the season. My father and I hunted grouse throughout my high school years, but he had little passion for it. I tugged us out the door early Saturday mornings and insisted we hunt every weekend. Fortunately, my father obliged. When I was fifteen, he indulged me again by taking me to buy my first shotgun: a 20-gauge Remington pump with a twenty-one-inch barrel and a straight stock. I hunted with it into my twenties. I went to college near one of the largest gun shops in the country. The sales floor was crowded with racks of firearms, hundreds in all, and there were always dozens of shotguns for me to look at. I spent many Sunday afternoons there looking at the Rugers, Berettas, Parkers, and Foxes—shouldering one, then another, and another, flipping over the price tags, trying to find anything I could afford. Collectors and hoarders have a lot in common; the first group is just more discriminating than the other. In my first ten years or so of chasing doubles, I was a hoarder. If a gun had two barrels, I wanted it. My first double was an A. H. Fox Sterlingworth. Then there was a Parker VHE. Both were 12s and both weighed around seven pounds. The bluing on the barrels had been worn to gray, and the checkering on both had been rubbed smooth. Neither fit me well. But I didn’t care. They were the classic American shotguns, they killed birds, and they were mine. I was proud to own them, and when I bought them, I swore I would never part with either one. Of course, when other doubles came along, my resolve faded, and I sold both. Over the next decade I owned Ithaca NIDs, a run of 16-gauge L.C. Smith No. 2s, a SuperFox, and more Parkers, including a 12-gauge DHE pigeon gun with thirty-two-inch barrels. There were Francottes, W & C Scott Premiers, and Charles Daly Diamond grades. Boxlocks and sidelocks. A Purdey hammergun from the 1860s and a Merkel double rifle from the 1950s. Guns, guns, and more guns. Some I shot; most I didn’t. Regardless of whether or not I fired them, I studied every one and noted their mechanics, styling, and workmanship. Along with guns, I also hoarded information: The Double Gun Journal and Shooting Sportsman, old catalogs from gunmakers like Boss & Co. and retailers like Abercrombie & Fitch, books by Michael McIntosh, Stephen Bodio, Donald Dallas, and Major Burrard. I loved learning the obscure language and knowledge of doubles as much as I enjoyed the history of the classic American and British makers. All this was the sun and water that grew my fondness for shotguns into a full obsession. Losing money is an excellent way to learn a lesson, and my hoarding period was an expensive education in buying and selling guns. 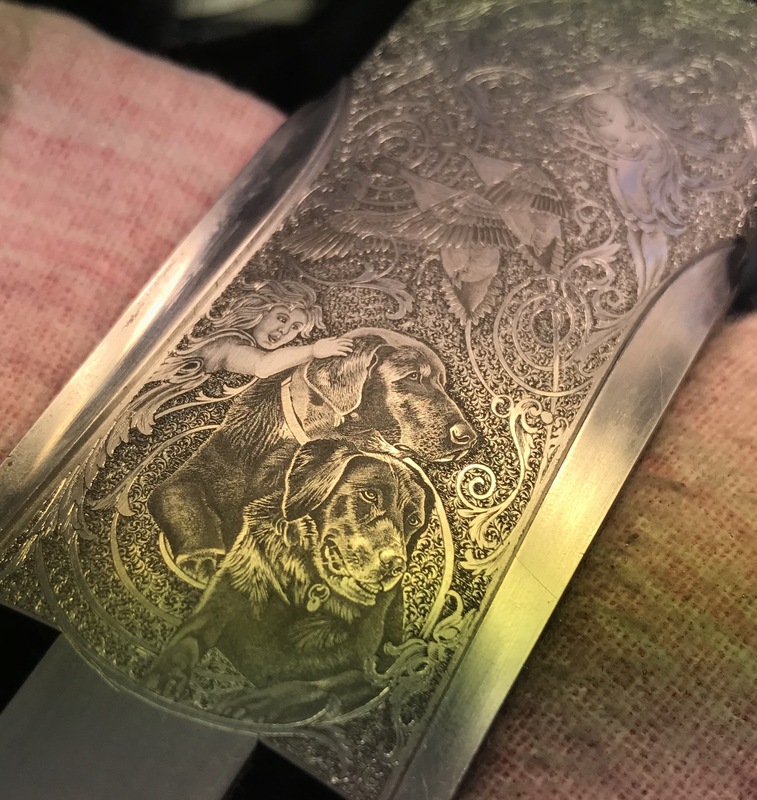 I learned how to spot reblued barrels, the right questions to ask a seller, and what dealers mean when they say a gun is “as new” (it’s totally redone). I learned how to measure up a set of barrels and the arcane language of shotgun proof marks. I also learned the value of original condition and, more importantly, how to spot it. The most important thing my hoarding period taught me was what I thought was important. Like most people who get into guns, I started with an interest in what everyone else said was special: Parkers, Winchester Model 21s, Purdeys. After a while, I learned what was special to me: vintage British doubles (especially ones in their original cases), German O/Us made before World War II, and, above all, high-quality shotguns in original condition. When I concentrated on what I thought mattered, I became a collector. I learned to discriminate, and this taught me more about what moved me and who I am. Why do we love the things we do? Perhaps it’s a search for wholeness or inspiration. Perhaps we’re looking to bring some type of beauty into our lives or connect with deep, profound currents running through all people for all time. Regardless, I know I can’t decide what I’ll love. My heart makes these decisions, and most make little sense to me. But if I want to feel satisfied and make my hours and days feel worthwhile, I need to follow its commands. I’ve been kicking around the upland world for a while. As my friends and covers get older, I wonder what will become of grouse and woodcock hunting. To keep it thriving, it’s important we to attract new voices and new perspectives. Both bring in new blood. 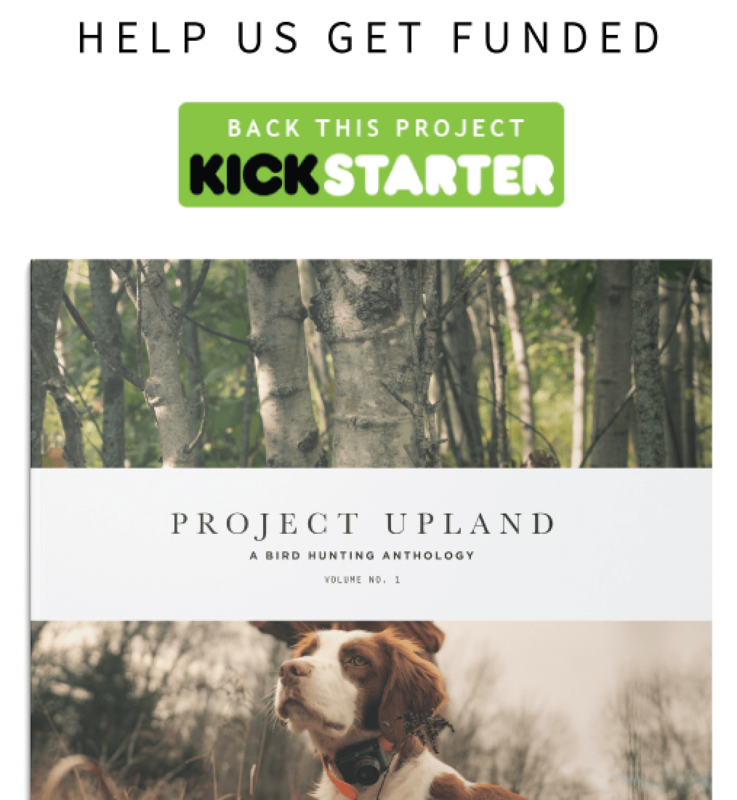 Through their videos, website, and now their first book, Project Upland offers readers and viewers fresh take on upland hunting, gun dogs, and fine shotguns. 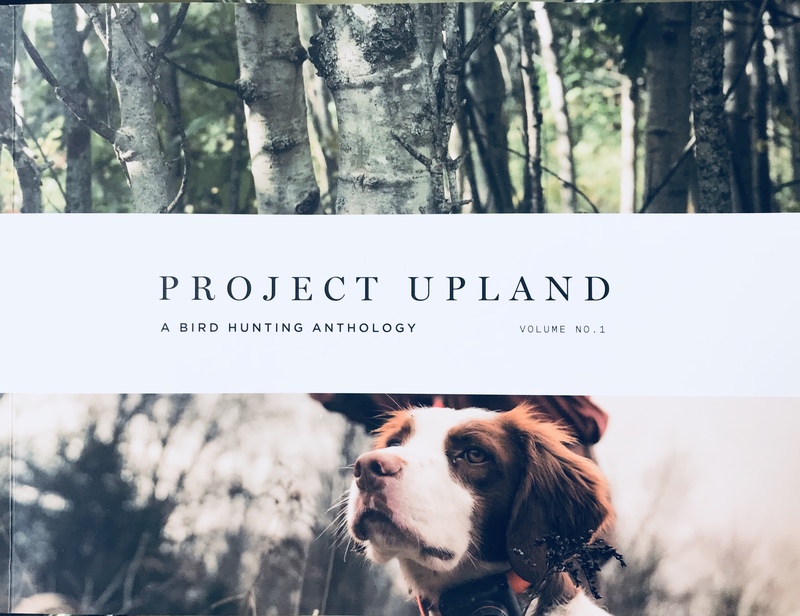 Last December, they approached me about writing an essay for their premier publication: PROJECT UPLAND – THE BIRD HUNTING ANTHOLOGY – VOLUME 1. The book came out a few weeks ago, and if you’re into bird hunting, it’s a must-read. 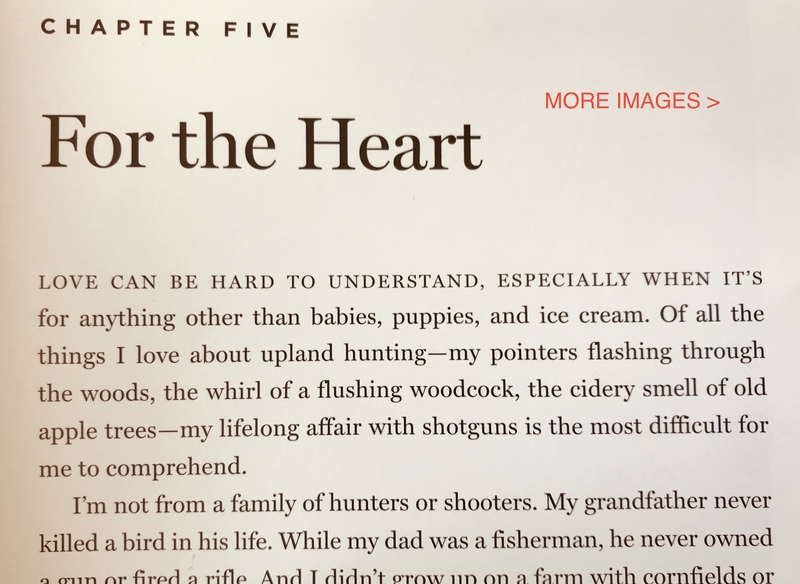 It features lots of cool, full-color pics, and 10 essays with titles like The Quickest Path to Losing Hunting Partners, The Golden Hour, and, my piece, For the Heart. Here’s an excerpt. To read the whole thing, you’ll have to buy the book. “Love can be hard to understand, especially when it’s for anything other than babies, puppies, and ice cream. Of all the things I love about upland hunting—my Pointers flashing through the woods, the whirl of a flushing woodcock, the cidery smell of old apple trees—my lifelong affair with shotguns is the most difficult for me to comprehend.